How will Luddenham School support my child? What support is there for my child's wellbeing? Spellings - please check the little yellow book. There are three groups Silver, Blue and Red. Sports Relief 7 Hours of Running! Today our children were running on the field in shifts, from 8:30am until 15:30pm. We had a great day, and loved running to raise money through sponsorships. Well done to all of the children for all of your hard work and running. World Book Day photos! Super dressing up folks. Fab fun had by all! 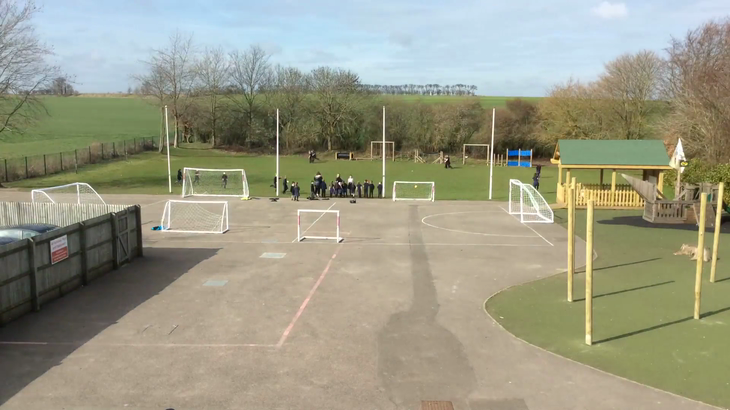 Music video from us all at Luddenham! Luddenham Choir singing Christams Carols at Tesco. Well done everyone and thankyou Mr Legg! Feeling Festive now. Official Library opening today! So proud of our Young Leadership Team. Thankyou to Faversham Town Mayor, Mr Woodroofe and our Governors for attending! Year 5 trip to the Houses of Parliament. Take a look at our Easter/ Spring Gardens. Families have worked together to make beautiful gardens! Thankyou to everyone who has taken part. Our Governors will be selecting winners tomorrow. Look at our corridor displays. Our children love them!